Stretches and conforms to curved surfaces and around corners for an accurate fit. Resists abrasion, scuffing, moisture and weathering for long service life. 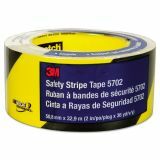 3M Caution Stripe Tape, 2w x 108ft Roll - Safety stripe tape features a diagonal stripe, 5.4 mil (0.14mm), and vinyl backing with rubber adhesive to help prevent accidents and property damage. 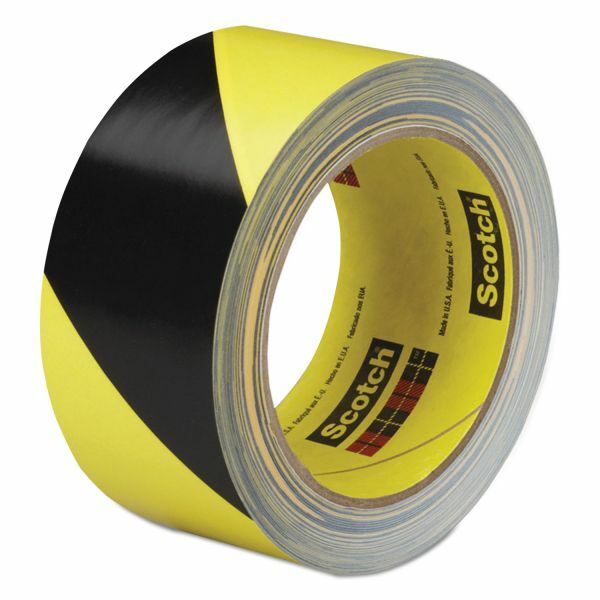 It is highly conformable and resistant to most common solvents. 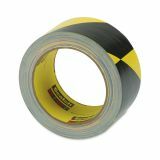 The design of clear vinyl over colored stripes provides excellent abrasion-resistance to the tape's striped pattern. Used to identify and mark traffic areas and physical hazards.